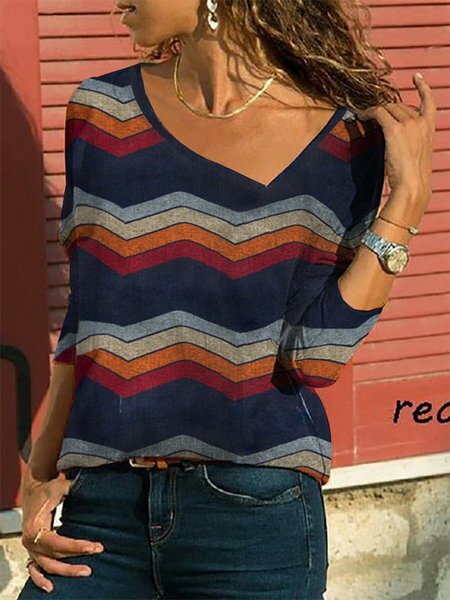 Cliquez ici pour être averti par email lorsque Navy Manche longue Décalage T-Shirt & Blouse sera disponible. Ce tableau de taille est destiné pour référence seulement. Les tailles peuvent varier d'une marque à l'autre. Stand upright, measure from the left shoulder endpoint to the right shoulder endpoint,and let the tape naturally attach to the shoulder at the back. Wrap a measuring tape around the fullest part of your breasts, making sure to keep the tape parallel to the ground. Wrap a measuring tape around your natural waistline, making sure to keep the tape parellel to the ground. Wrap a measuring tape around the fullest part of your hips, making sure to keep the tape parallel to the ground.